The Clarion Collection Hotel Tollboden is a peaceful oasis in central Drammen set in beautiful natural surroundings near the harbour. Breakfast, Afternoon Sweets and an evening meal are always included in the room rate. This is a cash-free hotel. 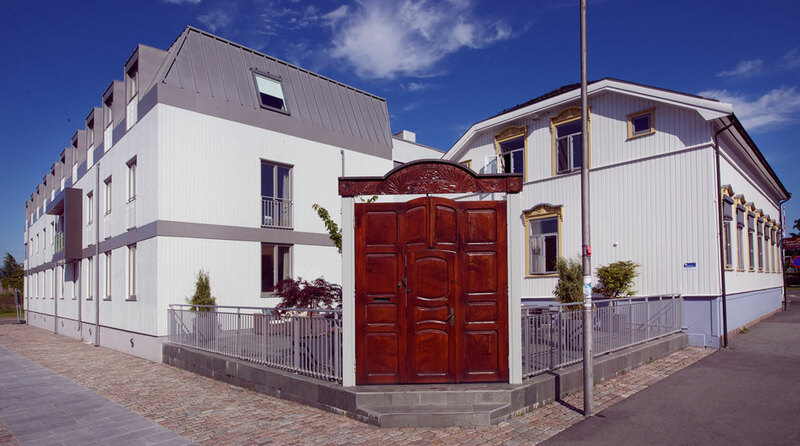 At the Clarion Collection Hotel Tollboden, you'll be staying in the midst of Drammen's history. The hotel is located in a historical building dating back to the 1600s, when the Strömsö district was one of Norway's most important ports. Around the hotel, you'll find art by local artists and exhibits that tell the story of the city's maritime history. The Clarion Collection Hotel Tollboden is centrally located in the Strömsö district, near Drammen harbour and surrounded by outstanding natural beauty. The city's selection of restaurants, shops and cafés is just around the corner. Furthermore, Drammen's main attractions, such as the Drammen Museum, Spiraltoppen and Bragenes Torg, are within easy reach. The Clarion Collection Hotel Tollboden has a long and exciting history. The hotel consists of a building constructed by the lumber dealer Daniel Knoff in 1668. Knoff began his career as head of southern Norway's customs operations in the mid-1600s, and was one of the people closest to the king of Norway. Later, he himself came to be called "King of Strömsö" when he developed Strömsö as a harbour town through his lumber business. Knoff's work lives on today in many exhibits throughout the hotel. Our conference facility has seven meeting rooms, the largest with seating for up to 70 people. More information about our meeting rooms can be found here. You can sit back and relax in our lobby bar with a complimentary cup of coffee. Light meals, wines and beers are also available for purchase in the bar. Serenity reigns supreme in our relaxation area. There is a sauna and an area for relaxation. We understand the importance of being able to stick to your exercise regime, even when you're travelling. Here you can exercise free of charge in our gym, equipped with a treadmill, exercise bike and multi-gym. There is a thriving golf culture in Drammen and we are proud sponsors of the Drammen Golf Course, which is 10km away from the hotel. We compete here for our own golf cup and offer our guests great golf packages that include the green fee. Drammen is an excellent base for ski enthusiasts. Both downhill and cross-country skiing can be enjoyed nearby. There are two ski facilities just 10 minutes from the hotel, Haukås and Aron, and the new cross country stadium, built for the World Cup in Konnerud in 2011, is 10km away. The Kongsberg Ski Centre is also just half an hour away by car. The Clarion Collection Hotel Tollboden is cash-free, which ensures added security for our guests and visitors. More information about this can be found under FAQs. Flytoget (express train) to Drammen station.